The Digital Counter Range of Brushless Electric Screwdrivers features an innovative brushless motor design (eliminates carbon dust) which results in low maintenance. With a compact LED counter built in, it is easy to operate so the user can set up the counter according to the needs of the work process. This Electric Screwdriver will effectively control the number of screw fastenings and operation quality and the automatic learn facility can also calculate the complete fastening time from start to end of fastening cycles. It is also possible to connect to a PLC if required. 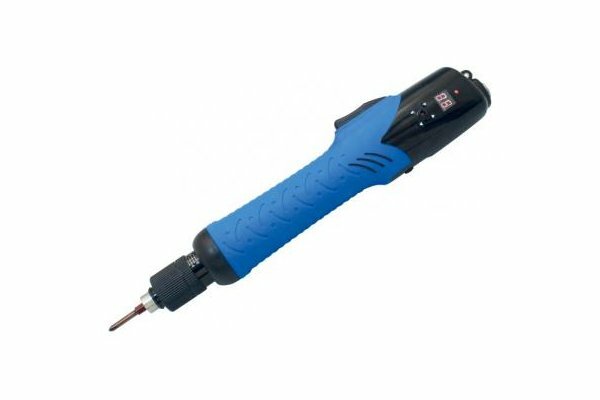 Other features of this Brushless Digital Counter Screwdriver include an easily adjusted external torque control, comfortable soft resin ergonomic non-slip design, high level of accuracy and a choice of either a lever or push to start model. An optional pistol grip attachment is also available to convert the screwdriver to a pistol style.